This week, I was invited to tour the Your Name Professional Brands showroom in New York City, and to try their collection of makeup. If you’re not familiar with Your Name Professional Brands, they are a private label company that helps individuals and companies brand their own lines of makeup and skincare. Although I sampled many items in the showroom, the item that I loved the most was their Luxury Gloss lipglosses. Let’s take a look at them, shall we? Right away, you may notice something different about these bottles: No label. Exactly! That is because these items are meant to be branded by YOU! Your Name Professional Brands is where you would go if you were interested in branding your own line of makeup. Now, notice that I am not using the word “create.” This is for a reason. Your Name Professional Brands acts as a middle man between you and production factories. YNPB develops a line of makeup each season with factories and chemists, and then offers a wide range of products to you, so that you can make the line and its labeling to your own taste. This is branding. This allows you to have your own line of cosmetics at a significantly cheap price, as you do not have to travel abroad to factories, hire chemists, etc… This is great for people who do not have the means to invest the hundred of thousands of dollars in finding their own production facilities and chemists and labelers. This also creates limitations, however. For instance, you cannot create your own packaging or change the formulas of products. You are simply purchasing unlabeled cosmetics, and making them your own. 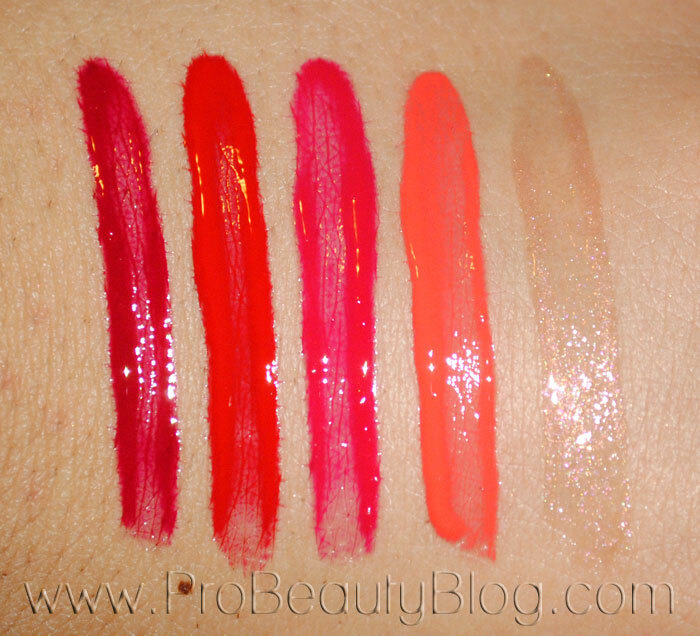 Now, on with the review and swatches! AMOUNT OF PRODUCT: 0.21 oz. PACKAGING: It comes packaged in a sturdy plastic vial with a flat, paddle-like, doe foot applicator. SIZE: Same size as a traditional vial of lipgloss. Maybe a tad bit thicker in circumference than most. TASTE: It tastes like cinnamon bubble gum too! INGREDIENTS: Contact Your Name Professional Brands for more information. COMPANY DESCRIPTION: This show-stopping gloss combines intense pigments with superior shine. Lightweight and luminous with a multi-dimensional finish that glows. Nourishing conditioners soften fine lines and hydrate for smoother, younger-looking lips. New, angled paddle applicator ensures an even, effortless application. Let’s take a look at the product! 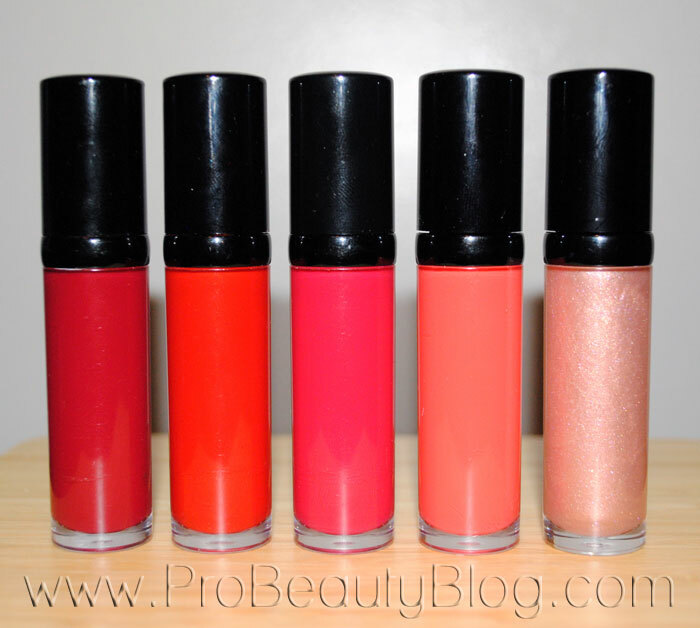 I am in LOVE with these lipglosses! They truly live up to their name: Luxury. I am very careful with my words and comparisons, but I can confidently say that these are practically an exact dupe for the YSL Glossy Stain; no lie. These are opaque, creamy, and completely not sticky. I actually put on the “Skinny Dip” gloss myself, and wore it for an entire day to see if it would dehydrate my lips (as some glosses tend to do). Nope! They stayed soft and hydrated all day. I was so impressed. Honestly, I had a really negative image of private label cosmetics due to all of the crappy makeup I see a lot of people selling. I am SO GLAD I got the chance to visit Your Name Professional Brands for myself to get a first-hand experience. My opinion has been changed. If you are in the market to start your own line of makeup, I would definitely tell you to check out Your Name Professional Brands.